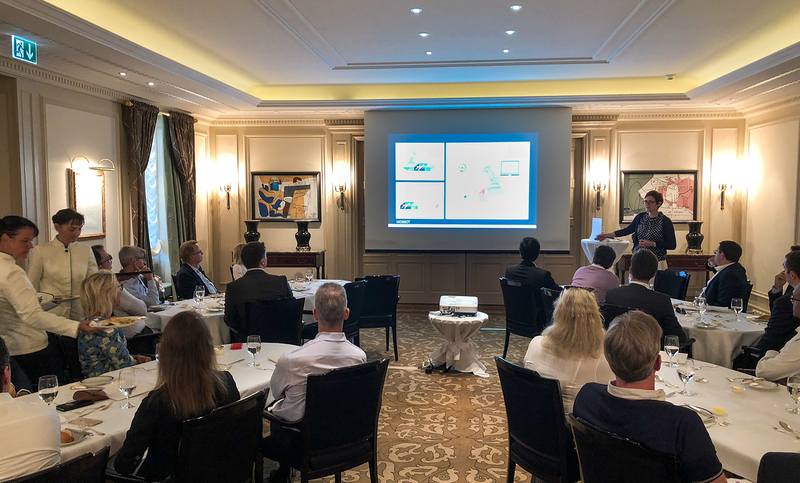 Wednesday's lunch event at Baur au Lac Zurich was well attended by a diverse group of investors and offered deep insights into concrete 3D printing in construction. Dr Agnes Petit, CEO of Mobbot, also showed examples of real world applications of 3D printing in the industry. Within the construction industry the highest value added from 3D printing is applied to customized parts, while prefabrication still provides the most viable approach for the majority of construction elements. Outside of construction, 3D printing is bringing value to companies through faster production, material cost savings and precision in in design. Dr. Petit highlighted a number of companies that are benefitting from investing in 3D printing and gave clear examples of how individual lives are transformed through these new techniques. She ended the presentation demonstrating how a number of other technologies are interacting with 3D printing and added an exciting development within the industry, namely '4D printing' and its potential applications. To conclude, Partner and Head of Investments Evelyne Pflugi presented a market outlook and the investment philosophy of the Singularity Group, which aims to capture value creation of exponential technologies in public companies across all industries and countries. To learn more and about future events, contact us.